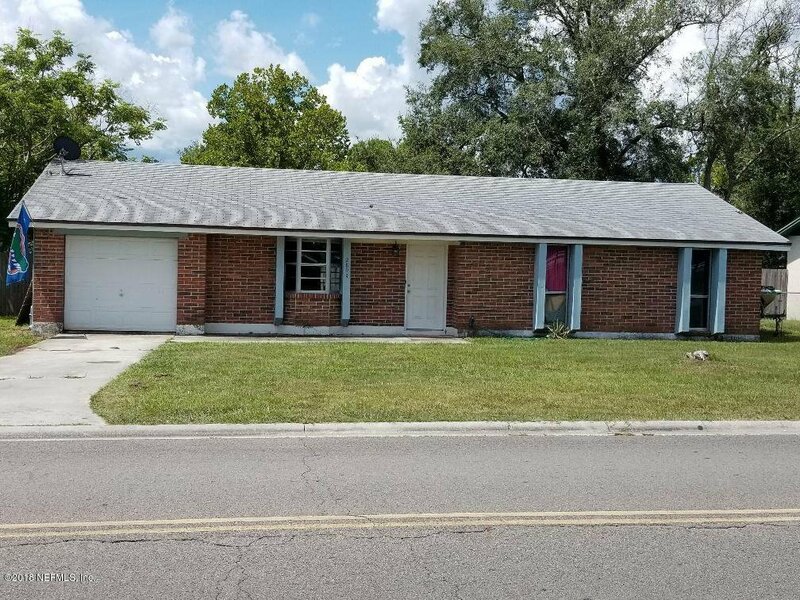 Affordable 3 bedroom home situated on large fenced yard close by shopping, retail, dining, NAS Jax & I-295. Come take a look at this one! Lots of ceramic tile, kitchen has granite counters, fully equipped, indoor laundry room & service door leads out to yard. One car garage converted into rec room perfect for sporting events & classic man cave! There is a small area of the garage remaining for storage of lawn equipment, tools or bikes. Bedrooms are good sized w/decent storage. Screened porch overlooks large fenced yard with plenty of room to roam around! Seller will replace roof prior to closing and after loan approval. Quote on file. One yr home warranty 2-10 $540 with acceptable offer. Tenant owns w/d and above ground pool. Listing courtesy of WATSON REALTY CORP. Selling Office: BETTER HOMES & GARDENS REAL ESTATE LIFESTYLES REALTY.